‘One In A Million’ is the latest book by Lindsey Kelk. Annie Higgins has 30 days to make Sam famous. But when the time’s up, will she choose followers and likes – or real relationships and love? Tired of the advertising idiots across the hallway making fun of her business, social media specialist Annie Higgins (iPhone in one hand, glass of wine in the other) accepts a bet that she can make anyone famous in thirty days. Even when the advertising idiots choose the office weirdo, Sam, as her target, she’s determined to win – whether he likes it or not.Annie soon discovers that getting to know Sam means getting to know more about herself – and before the thirty days are out, has a difficult decision to make about what’s really important. 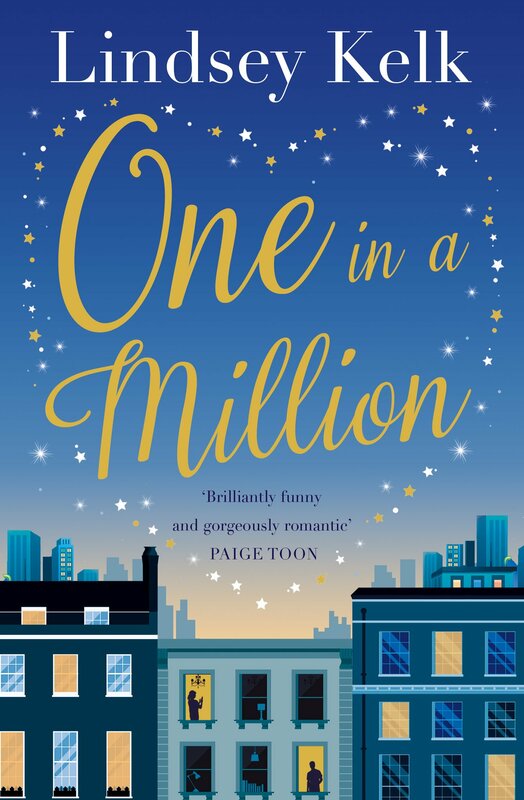 One In A Million is the hilarious new book from Lindsey Kelk and this book had me hooked right from the start, with a fantastic lead, witty one liners and awkward situations, it’s no wonder I read the first 200 pages in one sitting. The book is seen solely through the hilarious eyes of Annie Higgins, a successful woman with an award nominated company at her fingertips. Fluent in all things social media, she handles big clients and is always able to send out the correct message. Until, one day she is challenged about her job, she rises to the challenge and claims that she is able to get someone 20,000 Followers on Instagram in one month. The lucky victim is Dr Samuel Page, a man with wise head who has no interest in social media and prefers to reading about famous historical figures or working on his upcoming novel. He’s no desire to get involved in Annie’s project until she promises that she will be able to help him win back his ex-girlfriend. Suddenly, he has a reason to get involved and reluctantly agrees to the challenge, which sees them embark on a strange new friendship and hilarious and honest results. I absolutely adored this book, but that’s to become expected when you are a fan of Lindsey Kelk. Her books are delivered with wit and drama that really keeps the reader engaged and her latest book was no different. I loved Annie, she’s funny, kind and has a frank and honest approach to life, determined to prove just how good she is at her job, she delivers with amazing results. I also developed a bit of a crush on Sam, who is the reluctant hero in the story. Like Annie, he’s straight forward but with a touch of innocence about him that does him very endearing to the reader. Not only are main characters of the story, wonderfully entertaining but so are their friends, which had me chuckling throughout. Filled with plenty of laugh out loud moments, the book is really on trend with the power of social media, as well women having to prove their places in male dominated industries, which I found particularly insightful as it’s an industry that I also work in. A fabulously aspirational story that was impossible to put down, ‘One In A Million’ is a warm and entertaining story that is the perfect distraction from real life. You can pre-order One in a Million from Amazon and will be available to buy from good bookshops from 26th July 2018.